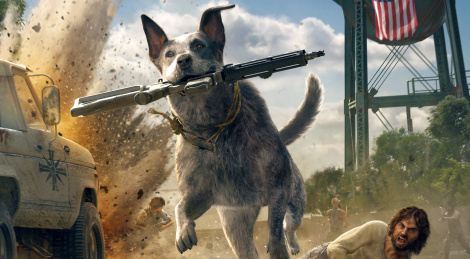 Ubisoft shares an extended gameplay walkthrough of Far Cry 5. 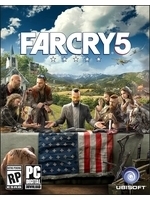 More than eight minutes in Hope County with new footage during which Associate Producer Philippe Fournier and Script Writer Marri Knadle comment on the game's features, gadgets and Boomer. That car-explosion at 1:17... pretty impressive! Agreed. Stunning looking game in nearly every aspect. May be one of the best looking of this generation in my opinion. The lack of blood during combat is pretty annoying though. I hate games that show blood and gore everywhere in the environment, but not when you shoot someone. Hell, the original Far Cry came out 13 years and modeled every bullet wound when you shot enemies. Not sure why no game can seem to get that right since then. Agreed. Stunning looking game in nearly every aspect. May be one of the best looking of this generation in my opinion. Really? I am not getting that at all. It's not grabbing me visually at all. Overall this demo was pretty dull I thought. looks better than the new assassins creed that's for sure. Looks boring as hell honestly.